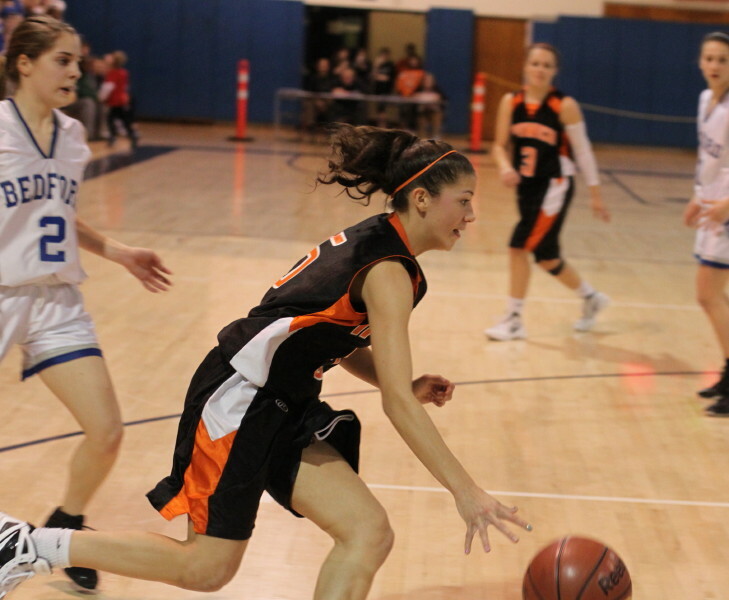 Julia Davis (22 points) found ways to get to the basket. (Danvers) Ipswich had the lead for good two minutes in and never trailed as they defeated Bedford, 46-36, to gain the finals of Division 3 North on Wednesday night at St. John‘s Prep. The #4 seed Tigers (18-4) will face the winner of the Pentucket/Swampscott matchup on Saturday at the Tsongas Center in Lowell. 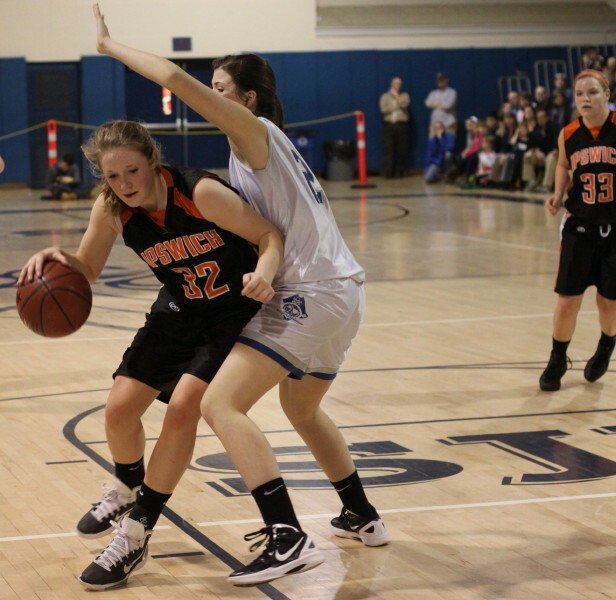 Junior Julia Davis (22 points) was the difference maker for the Tigers. The 5-10 post player overwhelmed one-on-one coverage, scoring eleven in each half. 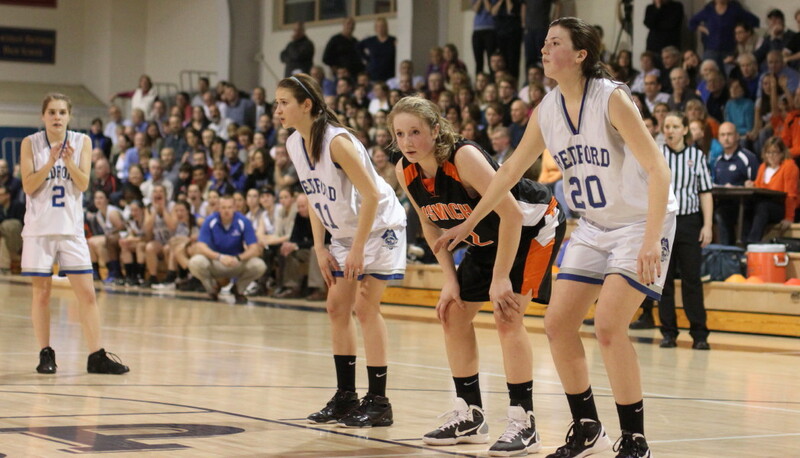 Also trying to stop her ended up putting Bedford into serious foul trouble. Two of the Bucs best inside players (Elisabeth Watson and Sam Cowan) were not available for the final 3 ½ minutes because they had fouled out. 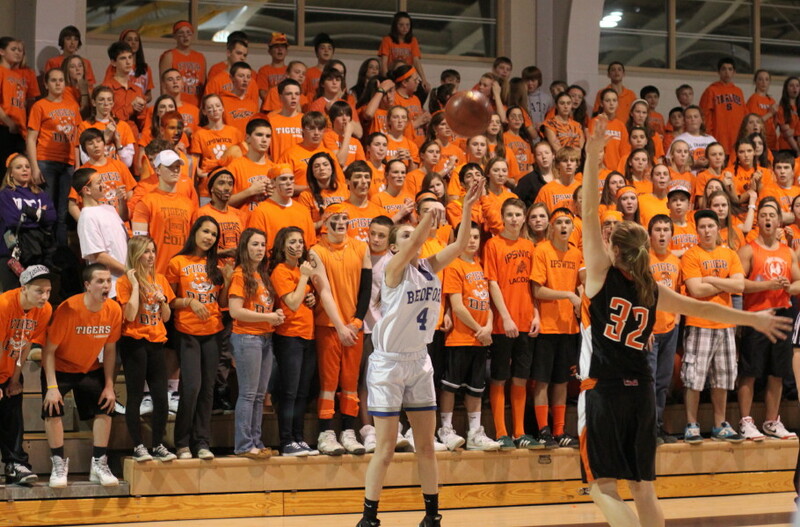 Amanda Cohen shoots from in front of the Ipswich student section. #1 seed Bedford (19-3) may never have led but they were within a point in the fourth quarter before the game slipped away from them. The crowd noise was nonstop and maybe the fact that Ipswich has had fourteen road games helped them handle things better down the stretch. 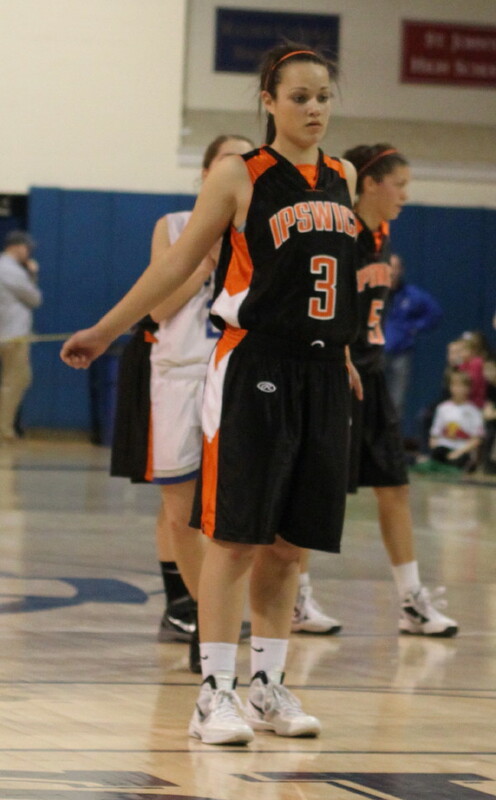 A seven-point run by Ipswich (Nyra Constant jumper and free throw plus two Julia Davis layups) boosted their lead to 32-22 midway through the third quarter. They looked to be in command but the Dual County champs rallied to make things very exciting in the final frame. Despite missing four free throws, the Lady Bucs put a 10-2 segment up and only trailed 34-32 early in the fourth quarter. Free throws by Alaina Greaney, a layup by Jennifer Zolla, and long ones by Kristen Bullock and Amanda Cohen produced the Bedford points. 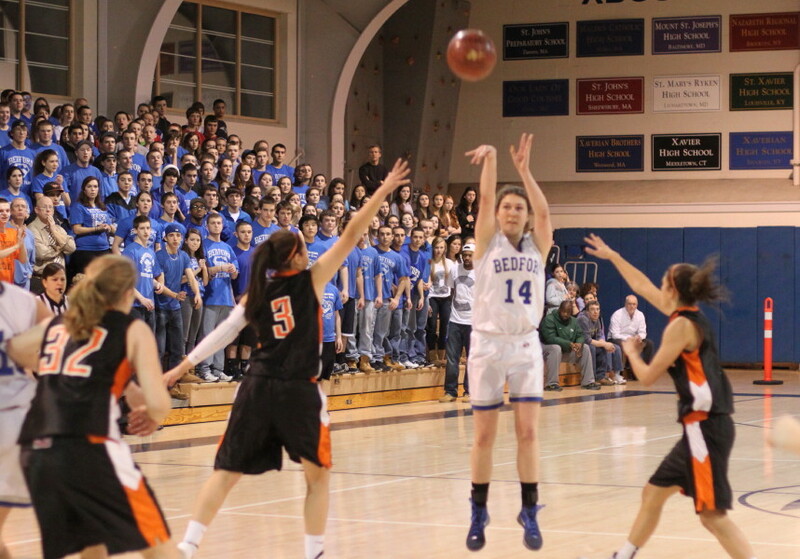 The Tigers only answering points were a jump shot by Julia Davis from Brigid O’Flynn. 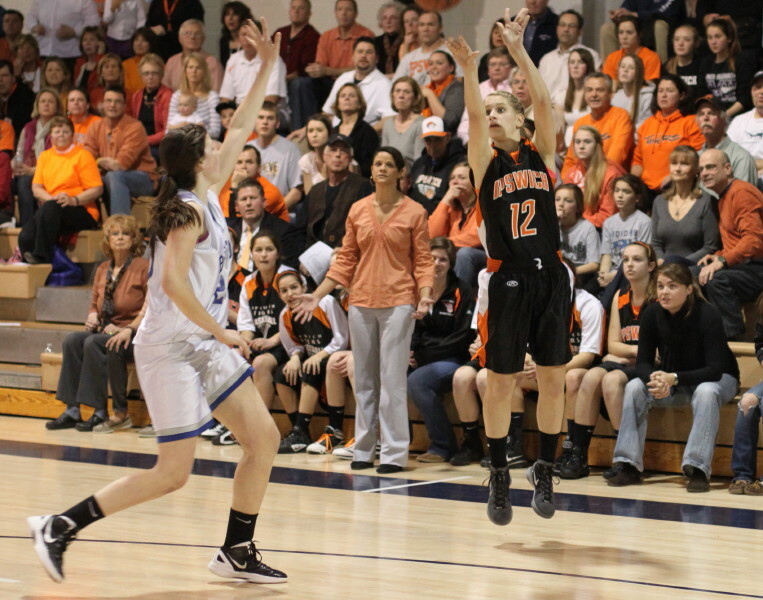 A Julia Davis (she had eight straight Tiger points) spin in the lane put Ipswich ahead by four (36-32) but three free throws by the Bucs made this a one-point game (36-35) with 4 ½ minutes to go. Anyone’s game, for sure! The rest of the way was a nightmare for Bedford. 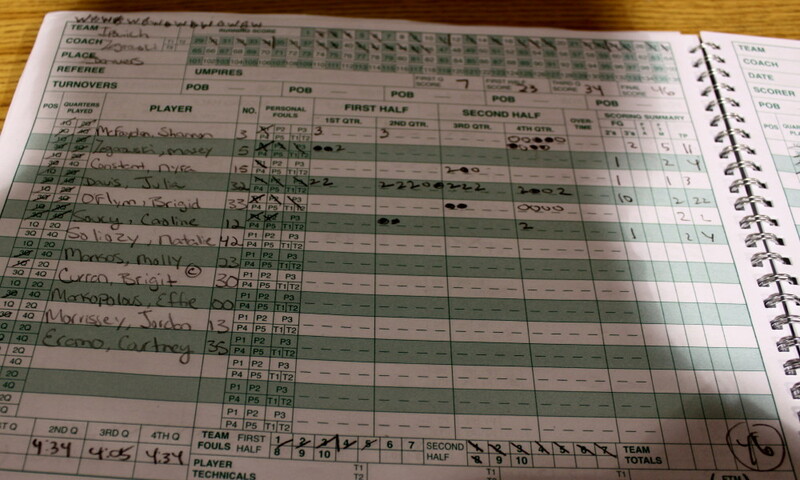 Their only points were a triple (Jennifer Zolla) and that came over three minutes of playing time later. In the meantime, Ipswich had a converted rebound by Caroline Soucy, a free throw by Julia Davis, and a Julia jump shot from Caroline Soucy. 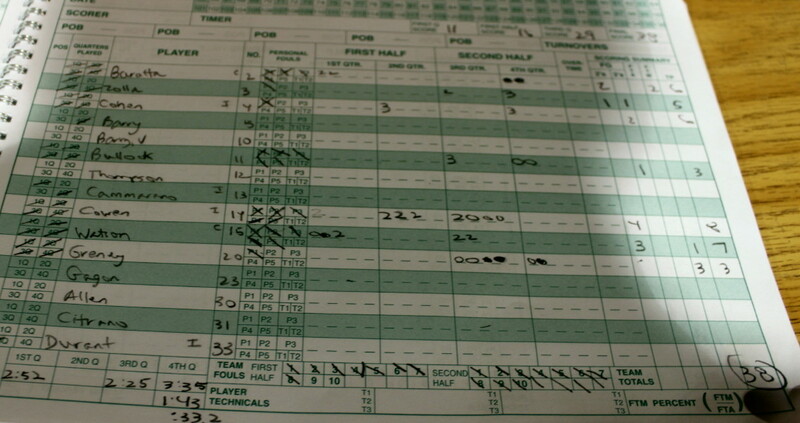 The lead became six (41-35) with 2 ½ left. Jennifer made the triple and it was a one possession game (41-38) with 1:18 to go. Bedford was one shot away from a tie. But Ipswich senior Shannon McFadden (11 points) was the only one to score thereafter hitting free throws (she made five) in every Tiger possession while Bedford launched long ones hoping for the quick fix that never came. Their long ones rimmed out and Ipswich was able to come away with a 46-38 win. 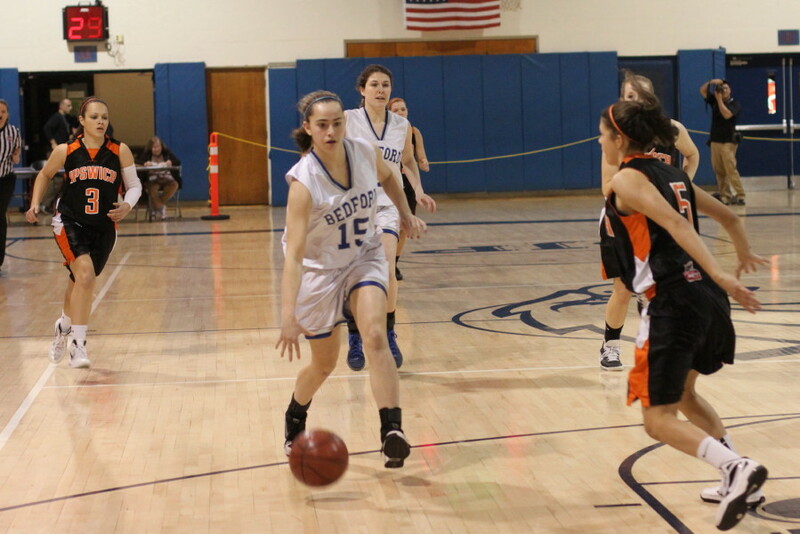 The Bedford full-court pressure was effective – twenty-two Ipswich turnovers. In the half court, both teams flocked to the ball while heavily defending the strong-side post. The schools brought plenty of colorful, student noise-makers. You know that it is noisy when you can’t hear individuals. The Swampscott girls team and Pentucket coach John McNamara were on hand. Pentucket plays Swampscott at Beverly on Thursday night. I also saw Masco coach Bob Romeo in the house. Bedford was a 4-16 team last year. This year they won the Dual County Small division for the first time ever. New coach Matt Ryan had plenty to do with the turnaround by successfully installing pressure defense into the mix at Bedford. Bedford had won thirteen straight before the Ipswich loss. Ipswich has won seven of their last eight. The loss? 59-57 to Swampscott on February 20th. 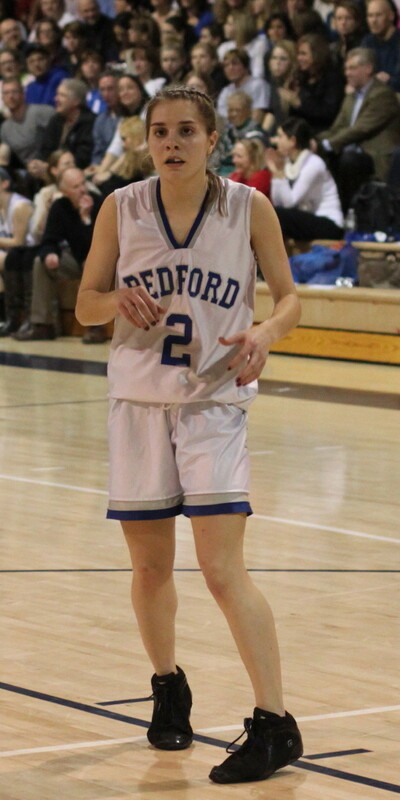 Sophomore Sam Cowan (eight points) led Bedford scorers while Elisabeth Watson had seven points. The Lady Bucs certainly missed having those two on the floor during the season-on-the-line last 3 ½ minutes. The Bedford defense did a great job of containing freshman Masey Zegarowski (4 points) with their high zone but in the process opened up opportunities for Julia Davis to work one-on-one inside.